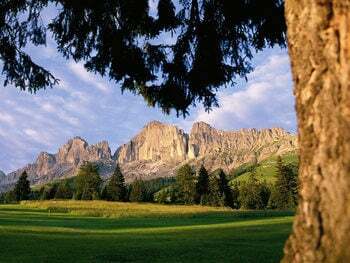 Golfing at the foot of Rosengarten Mountain… an experience, like none you have ever had before. Anyone who comes to the Dolomites to play golf is awe-struck by the breath-taking views, as you play the most fantastic golf on the Carezza golf course. The mind becomes free and all the body cells are occupied. 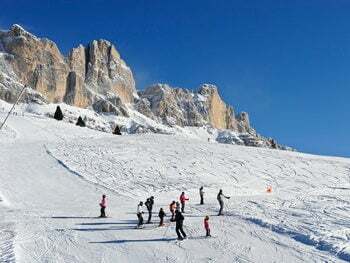 In the midst of fairy-tale scenery, at the foot of Rosengarten Mountain in Val'Ega, those, who enjoy the wellbeing of their bodies and souls, discover a true world of the senses. 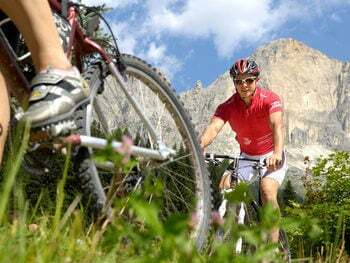 Fantastic single trails, experiencing the wonder of the mountains, wonderful forest routes and many kilometres of pleasure tours over legendary mountain passes - all this is possible in the Dolomites, a true paradise for mountain bikers. Blossoming meadows, fragrant forests, clear mountain streams and imposing mountain peaks - the beauties of the Rosengarten- Latemar hiking paradise can be discovered on leisurely walks, guided hikes or challenging tours of the mountains. Anyone, who stands before the majestic backdrop of the Rosengarten and Latemar mountains, will be fascinated, especially when the setting sun bathes the mountains in mystical red light. A spectacular display, which enchants you every time you see it. A few years later, the Dirlingers came and settled in the mouths of the Locher Valley. Disputes were constantly breaking out between the Dirlingers and the wild men. But when the Dirlingers demanded the Grunschaft Meadow for themselves, this led to the last and greatest conflict. The wild men had many fearless warriors, but they nonetheless lost the battle. A few years later, the sole survivor among the wild men, the Glacier Man, searched for his allies, but in vain. But as fate would have it, the Dirlingers didn’t enjoy their victory for long. At first, the rich Dirlingers ones promised the poor ones the best land. But the rich broke their promise, and so one of the poor Dirlingers journeyed to the “Witch’s Cauldron” to call upon the Devil for help in spreading the Plague. As a result, everything was torn down and even the most-beautiful meadows soon disappeared into the forest. Subscribe to our newsletter and get all our news and special offers!